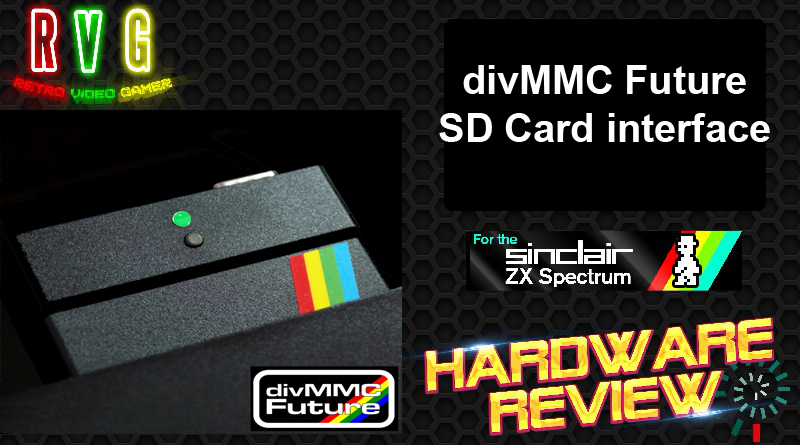 The DIVMMC Future is the latest in a line of divIDE interfaces for the ZX Spectrum range which allow you to load and save games from an SD card. For many, using an emulator just doesn’t give you the full Spectrum experience, but on the other hand, using a real Spectrum comes with all sorts of hassles loading games which in the 128K era could take more than ten minutes from cassette. With the DIVMMC Future, welcome to the best of both worlds: near instant loading plus the authentic feeling of playing the classics on the real hardware. The DIVMMC is compatible with all Spectrums, including the Spanish Investronica 128K model. Two things separate it from other divIDE add-ons: firstly, it’s the smallest of its kind on the market right now (comparable in shape and size to an old joystick interface), and secondly, it’s the simplest in functionality with just two buttons on the front panel to deal with. One resets the Spectrum while the other launches the menu of EXDOS, the firmware that allows you to navigate all your game files and folders. This button lights up red when the Speccy is turned on and turns green when loading/creating a file. Also, the top of the unit has a kempston joystick port and the SD card slot with a spring action making it easy to push cards in or out. And that’s it, really. There are no other buttons, switches or jumpers. Even your mum could use it. Make sure your Speccy’s edge connector is clean before connecting the DIVMMC Future, as a dirty one may give you the odd crashing of EXDOS upon launch. That’s a general comment about Spectrum interfaces though and not specific to this device, as the DIVMMC certainly doesn’t have any build quality issues. It feels solid, professionally made and looks great in a cool retro way, especially with the Sinclair rainbow stripe down the side. Just looking at it takes you right back to the 80s… and that’s before you’ve even turned it on. Loading games is easy enough. Launch EXDOS and you’ll see the menu of folders with your tap and z80 files. Navigate using up, down and enter to find the file you want, press enter and a couple of seconds later the game comes up ready to play. EXDOS doesn’t load tzx files, but it’s a moot point since tzx’s main purpose is to replicate real-time tape loading schemes, and that’s hardly relevant when the games are being loaded in two seconds. With an 8GB SD card, you can put on all the Spectrum games ever made while still having enough space for tons of game saves… which is the next great thing about this device. Say you get to level five of Target Renegade and you want to play it later, just press the launch button, then hold down “S” to save, and after a few seconds you have a snapshot of that level. This has brought new life to classics like Arkanoid and Uridium as I can now start on the unfamiliar later levels I couldn’t reach before. It’s almost like playing them for the first time again. The DIVMMC Future also kisses goodbye to multiloads. A game like Out Run forced you to load the individual stages, which was absolutely useless. But with the tap file of the game, the next stage near instantly loads by itself as if by magic. I hesitate to say this makes Out Run actually ‘playable’ (sadly the DIVMMC doesn’t have the power to make bad games good yet), but it undoubtedly makes it much more interesting because getting rid of the multiload makes a huge difference to the replay value. As a sweetener there is added TR-DOS disk compatibility, making the Spectrum able to play most games that were released for the Russian Pentagon clone, including the monumental 1996 release of Prince Of Persia. Yes, Jordan Mechner’s classic works on unmodified 128K Spectrums, and it’s bloody impressive. So not only does the DIVMMC give you easy access to the whole Spectrum library, it also gives you a new library of games to try out from the Soviet Union that wouldn’t work before. It’s enough to make you think the DIVMMC might be using performance-enhancing drugs. In conclusion, I cannot recommend the DIVMMC Future enough. 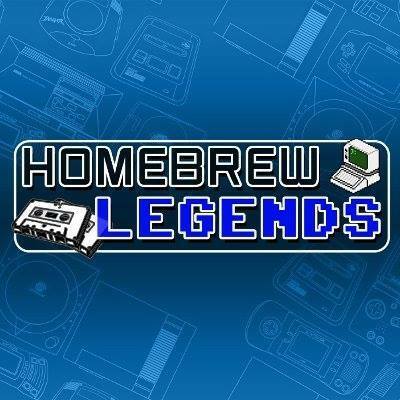 It successfully brings together the authenticity of using an original Spectrum with the ease of use we get with emulators, and all in an ultra-compact and professionally designed casing. Now the price has been reduced by a tenner to £59.99, there is no better time to buy this excellent device and rediscover the magic of playing the Spectrum’s back catalogue on the real thing. No doubt about it – this DIVMMC really is the Future. Pics Courtesy of Mutant Caterpillar Games Ltd Retro Store. I cannot recommend the DIVMMC Future enough. 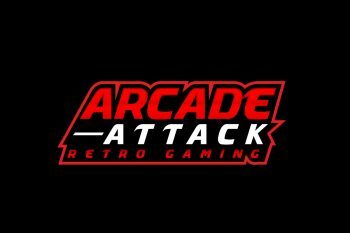 It successfully brings together the authenticity of using an original Spectrum with the ease of use we get with emulators, and all in an ultra-compact and professionally designed casing. ← Freeze 64 Magazine Review. Atari Lynx SD Cartridge: Review. Ultimate 64 – New Hardware Review. Sega Saturn Style USB Joypad Review. Competition Pro USB Joystick Review.